Our "We Don't Do Beans Texas Chili" has been getting great reviews and a following! Stop in to taste what people are talking about and try entries from over thirty downtown restaurants and businesses. Stop by Consumers Credit Union to pick up your Bingo Card to track your tasting and for your chance to win prizes. Chili Cook-Off is free, but you might want to purchase a commemorative tasting spoon. Our biggest sales event of the year! You are sure to find deals and steals! Steep discounts on leotards, activewear, tights, shoes and studio warm-ups. Some items marked up to 75% off! Sometimes we get a great deal from our vendors and pass the savings directly on to you, just in time for back-to-dance shopping! Special deals and surprises sent to our customers on our email list. Be sure you are on the list and checking your email! All customers on our email list all receive additional savings on clearance purchases and the chance to win something else. Examples of some of last year's special giveaways: a pointe shoe key chain, a pair of tights, additional % off clearance, voucher for an additional $50 of clearance items, etc. You can't win if you don't open your email! Get away with your girlfriends for a fun-filled day of pampering, shopping and laughter! Experience the diverse activities and events that Downtown Kalamazoo has to offer. You can do all the things you love, you've always wanted to try, or you can choose to sit back, relax, and unwind--it's your choice! At The Station, we'll be helping girlfriends pamper their skin. Check out all of the fun events at Girlfriends Getaway. At The Station, we'll be helping girlfriends pamper their skin. Our "We Don't Do Beans Texas Chili" has been getting great reviews and a following! Stop in to see what people are talking about and try entries from thirty downtown restaurants and businesses. Small Business Saturday is a great way to show your local small businesses that you are happy to have them in your community. We will be having some special promotions today. Whether you are window shopping or doing some serious holiday gift shopping, we hope you will stop in and say, "Hi". For a few days each summer, we expand our shop's footprint into the studio and the alcove for the biggest sale of the year! Are you clueless how to do your dancer’s hair in the perfect ballet bun? Join us for our Ballet Bun 101 Class to learn how to twist even the most unruly hair into a sleek, elegant ballet bun! Join us for this fun event! You’ll leave feeling confident in your bun making skills just in time for recital season. Ballet Bun 101 is open to all dancers in the community. What: Learn how to create classical ballet’s iconic up-do! Perks: Dancers will receive a $5.00 gift card to use towards their bun supplies and a Ballet Bun 101 course completion certificate. The Station will be hosting several activities for Girlfriends Getaway 2017! Check out the website for the whole list of things to do with your girlfriends, moms, daughters, etc.! Several sessions of our Scrub Station: Pamper your hands! With over a dozen scents to choose from, you will sample two or more options of our of all-natural face and body scrubs and leave with silky, soft hands. Make and Take Texture Scarf: There is more than one way to wear tights. Learn how to make an infinity texture scarf out of tights. Skills required for this activity: Not many... If you can cut fabric into imperfect strips and tie knots, you can do this activity. Mini Pedi: Have a seat and reward your feet! Soak your feet and re-energize them with an all-natural sugar scrub. You'll go home with tips on how to keep your feet looking great with less lotion and a 2oz sample size of Happy Feet Foot Scrub. Your feet will thank you! Honey of the Hive will be hosting two free bellydance classes. The Station will also be participating in the Fashion Show, showing off a few of our favorite dancewear and activewear options. 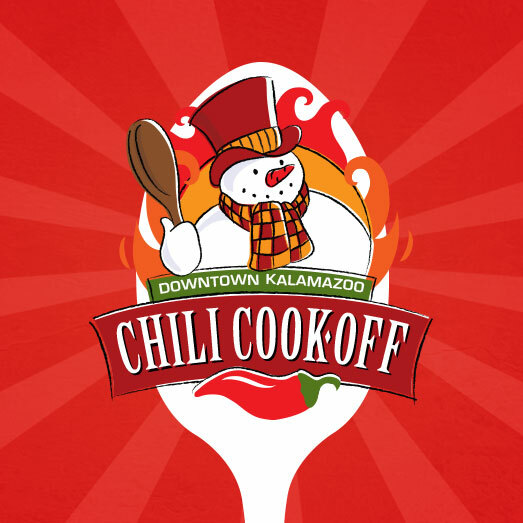 A full day of fun with your girlfriends in Downtown Kalamazoo! We are one of over 40 participating downtown businesses! Come try our "We Don't Do Beans Texas Chili". Our unique take on traditional chili heat is sure to surprise and make you wonder why people ever added beans in the first place. Paramount's pop-up gallery will feature artwork across several mediums. Refreshments provided. Moscow Ballet is coming to Kalamazoo and will perform the Great Russian Nutcracker with the help of a cast of 60 local dancers. Dancers from all local studios are welcome to audition. A representative from Moscow Ballet will conduct the auditions, cast parts and set the choreography. Dancers will rehearse locally, in preparation for the performance at Miller Auditorium on December 6. The Great Russian Nutcracker is a great opportunity for dancers to perform on a big stage with professionals and live orchestra. Interested dancers should register for auditions atNutcracker.com/auditions. Dancers should wear a black leotard, pink tights and ballet slippers. More advanced dancers should bring pointe shoes. All dancers should wear hair in a bun or pulled off the face, for shorter hair styles. Recommended ages are 7-17 years old, however, mature 5 and 6 year olds may audition. No prepared audition piece is required. There is no audition fee. There is a $50 participation fee for the final cast. Questions? Contact Academy of Dance Arts or The Station! Join us for September Art Hop in Downtown Kalamazoo!